Murray Dahm has directed various opera productions in Australia and New Zealand, and theatre in the United Kingdom. He has also worked in radio and television voice over and appeared on television in Hercules: the Legendary Journeys. Murray directed Don Giovanni for the 250th anniversary of Mozart's birth for Rockdale Opera as well as The Elixir of Love and Fra Diavolo. For the 200th anniversary of Lachlan Macquarie's appointment as Governor of New South Wales, in February 2010 Murray produced and directed a special production of Beethoven's Fidelio for The Very Small Opera Company and Old Government House, Parramatta. He has also produced and directed productions of Die Entfuhrung aus Dem Serail , Carmen , La Boheme, The Marriage of Figaro, The Barber of Seville, and Madama Butterfly. He is currently Artistic Director of the boutique opera company Opera Bites. In 2001, to mark the centenary of Giuseppe Verdi's death, Murray's radio play on the composition of Otello, Tell Giulio the Chocolate is Ready , was produced by Radio New Zealand. As well as other radio and stage plays, Murray has written English language scripts for Fidelio, Fra Diavolo, Die Fledermaus and Die Entfuhrung aus Dem Serail , and miniature versions Carmen , Madama Butterfly, La Boheme, The Marriage of Figaro, and The Barber of Seville. Murray joined the chorus of Auckland Opera in 1994 whilst doing a Masters degree in Ancient History. 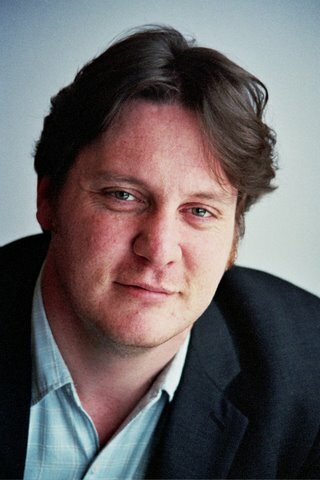 In 1998 he was one of four inaugural emerging artists with Opera New Zealand. He has performed in Opera and Concert with companies around New Zealand and Australia. His repertoire includes roles in La traviata, Gianni Schicchi, Macbeth, Hansel und Gretel, Die Entfuhrung aus Dem Serail, Madama Butterfly, Owen Wingrave, Martha, La Perichole, The Yeoman of the Guard, Paganini, Attila, The Merry Wives of Windsor, Fra Diavolo, Carmen, The Marriage of Figaro, La Boheme and Die Fledermaus. Murray's popular courses on the history of opera at the WEA (Sydney) have been running continuously since 2003. He has also lectured for both the Auckland University and Sydney University Centres for Continuing Education, The Northside Opera Study Group, Opera Lunedi, the Sydney Opera Society and has presented research papers on aspects of opera at the University of Sydney and the University of Melbourne. He has published both academic and general articles on opera and history in a variety of journals. Murray currently works as the project director on Opera Australia's highly successful WotOpera education project, a programme which sees groups of high school students create their own operas from scratch. Murray also works as the project director on Opera Australia's OperaEd project which introduces young people to the art form of opera. He has been involved in delivering this programme to New South Wales high school students since 2004.